I've been a bit of an evangelist for tonka beans for some time. I love the scent and the taste, and I don't agree with the FDA's decision to ban them from food. 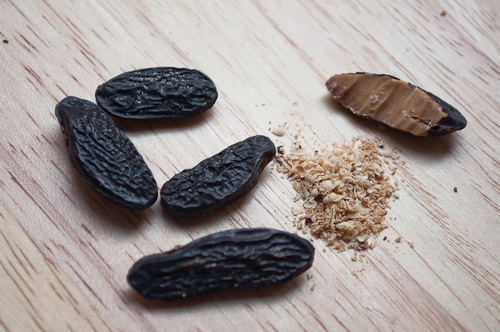 The Atlantic has an excellent article (The Tonka Bean: An Ingredient So Good It Has to Be Illegal) about the allure of tonka beans, and the [asinine] reasons they're banned from food in the US. I've put together a Pinterest board of recipes, almost all sweet, I've found that use tonka beans. I've described it as "vanilla's older, sluttier sister" and I think that's about right. It's a combination of all the baking spices you've ever loved, plus something else that's dark and funky and lovely. I had Artisan du Chocolat's Tonka Milk Bar while in London and loved the fusion of tonka and chocolate -- enough so that a coworker is bringing me several bars from London when we all meet up in Boston for the worldwide team onsite coming up in a little over a week. Winter is coming. Baking time is coming. 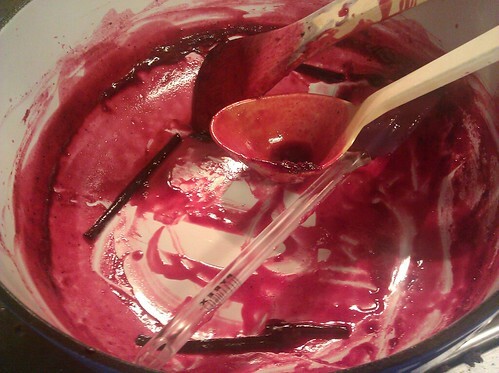 I'm down to one last jar of raspberry tonka bean sauce. I should fix that.